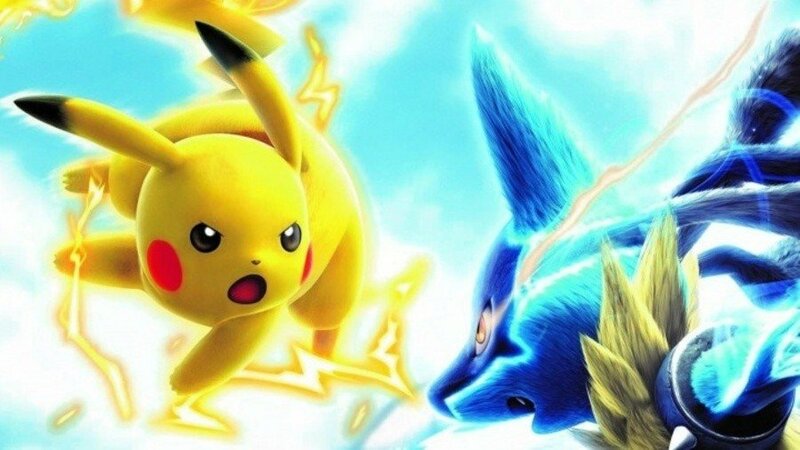 Bandai Namco's Pokkén Tournament might be known as one of the more exciting games during the Wii U generation that got a new lease of life when it was re-released on the Switch, but it actually started out as an arcade exclusive in Japan. In sad, but inevitable news, it's now been announced via the official website, that the online services for the original arcade release will be terminated next week on 25th March. Bandai Namco Amusement expressed its thanks to fans who had supported the game since the beginning. When the services are cut, the game will no longer support National Versus mode and First-Time Tutorial Service. The Banapassport cards will also no longer work and the game's portal website is being taken offline on the same date. 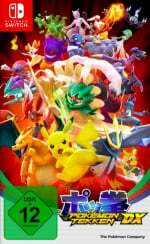 Fortunately, the online component will live on in Pokkén Tournament DX, which does a superb job replicating the arcade experience on the Switch and even allows fans to use the special Pokkén Tournament controller to play the game. Are you still playing Pokkén Tournament on the Switch or Wii U? Did you forget the arcade version was a thing? Tell us below. Haven't played this one in quite some time. I have Pokken Tournament for Wii U, and I even have the special controller for it. I haven't forgotten an arcade version existed, though that having online service is certainly news to me. I didn't know that. @Kevember Why? I dont recall it being bad or anything. I played this in an arcade on a trip to Japan a few years ago and it was amazing. Playing an arcade game against an online opponent was a weird feeling but still felt right. I went 3-1 in my 4 plays having never played before! ............Huh. I never knew it had online services. Nintendo-property games are better suited at home than arcades, when the arcade version does not have enough exclusive content. I followed a lot on the arcade forums and games previously released on arcades and then home consoles with more features and improvements compared to the arcade version will definitely move players away from arcade versions. Therefore, it makes sense to cut off online services that are not performing well in arcades. I kid you not that unless arcade versions have a good deal of content that is exclusive and not available elsewhere, then the home versions are preferable to arcades due to total convenience. I do know that Exa Arcadia is going to fill in the niche by requiring all games previously released on home and mobile version to have content and revisions that are exclusive and not available elsewhere. The launch batch of games are said to be ready by Summer 2019. Anyways, games that are heavily associated with Nintendo are more suited for Nintendo platforms anyways. Game is still great and I’ve put a lot into the Switch and Wii U versions, but it’s getting old so it’s understandable. Still want a sequel. @Kevember Why? did you have some kind of horrible experience with it? I can understand having online arcade machines in the west where arcades are dead and have no sense of community, but apparently they're still big in Japan and you can easily just find an opponent next to you. @Kevember What a stupid thing to wish for. Looking at the JP source, it seems the shutdown was announced on 31st October 2018, so it's not quite as sudden an announcement as it seems. I honestly thought it was an online-required game that would stop working completely when they decided to shut it down, nice to see that's not the case. It seems the loss of BaNaPassport support would mean no more saving/loading though. I still play local co-op with my my family quite a bit. I've bought both the Wii U and Switch versions and the DLC for both. Such an underappreciated fighter. Easy to pick up 'n play, hard to master. Runs like a knife through butter. Most casuals just wanted to play it together without the pass, on 2 machines next to each other. That said, I would've preferred it to use traditional arcade controls (joystick + buttons) rather than that D-Pad. Well, it's not even the definitive version ofnthe game anymore. There wouldn't be too much reason to game the arcade version alive. Sad news nonetheless. @iLikeUrAttitude Well... It is, not sure why you would think it isn't. I wanted to like this, but I am not into the game style of tekken games that much. Will probably give it another shot. 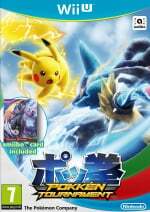 I think the game is the most underrated Pokemon game out there, and one of the most underrated fighting games out there. Wish it gets more support. I really like this game and continue to play it on Switch from time to time!